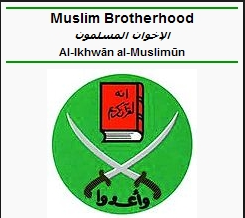 Muslim Brotherhood’s symbol is the sword, their message is revenge and terror. One year under the Brotherhood ruling passed on Egyptians like decades. They tore apart our unity. They divided our land and sold it to our enemies. They opened our borders widely for mercenaries and terrorists. They released terrorists from prisons to terrorize our community. It was either to rule us by force or burn everything green and alive in our homeland. Brotherhood humiliated our humanity, dignity and pride. They raped childhood innocence at the age of 9. They cut girls hair in schools to force the veil. They practiced Circumcision against females to kill natural feelings given by god. They incited Muslims against Christians. They incited us against each others with hateful and hatred speeches. They burned Christians churches and forced them to leave their homes. They called Christians enemies of God and profaned their blood. They controlled all country’s joints and treated us like enemies. They undermined our State sovereignty. They exposed our national security to danger. They cut relations with our neighbors and created enmity between Arabs and Egyptians. Brotherhood deceived us but did not manage to brainwash us. Brotherhood’s Black history is full of crimes and is no difference than their current history. The worst thing that can happen to any country, that the regime ignores the demands of the people and challenges their free will and turns them to enemies. We went first and asked Mohamed Morsi to listen to our simple demands, to our rights as human beings, we asked him to be fair to us. 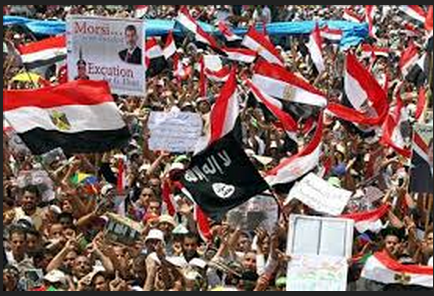 Morsi ignored us and ordered his militias and terrorists to slaughter us in the squares. Morsi described our peaceful protests in front of his palace that we were just a bunch of mobs and they threatened us that the only right we have in Egypt, was to remain silent. We decided to revolt against this fascist terrorist regime and we challenged their terror. We gave them three month prior notice of the place, time and hour of our revolution. On 30/6/2013 we broke all restrictions. Muslims attached to their Christian sisters and brothers in Egypt and walked together, the path we have chosen with our own free will to release our country from the Muslim Brotherhood pure evil black terror. We revolted to get back Egypt again from a regime who tried to erase and smash a 7000 years civilization entity and identity. We went in all squares and we stood peacefully in our places with no fears, knowing that Our Egyptian Military will never point their bullets to our chest. Our military protected Egypt from a civil war and have listened to people’s demand, and did their duty in protecting the country and the people. 30 of June was an epic, more than 33 million Egyptians revolted for their freedom: police, military, press and media, judiciary, labors, peasants, artists, youth and old, poor and rich…We were all hand in hand. We freed our country from a fascist regime, but the regime declared a terror war against the whole society. The yellow 4 fingers of Rabaa, is a symbol for hatred and violence. 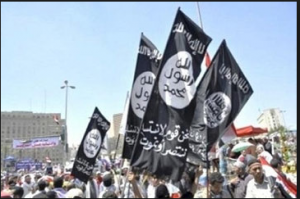 Is a symbol of terrorizing, they have burned our flag and raised Al Qaeda black flag and Osama Bin Laden’s pictures. This is the real voice of Egypt, this is the real Egypt, this is what happened in Egypt. Who have the right to speak about Egypt, except the Egyptians who are living on the Egyptian territory and not foreign reporters who are sitting in air-conditioned offices spreading lies which are not serving but terrorism, and their source of information is a terrorist organization and their supporters too. Foreign countries have no right in interfering in our internal affairs or to talk about Egypt, while they are into coalition with Terrorism against Egypt, because we decided to be independent and act according to our free will and not according to superior countries lectures and orders. Here is another voice of Egypt, The Cairo monitor presented its first documentary regarding recent political challenges facing the people of Egypt, specifically the impact that the Muslim Brotherhood has had on the nation. Poised for a new era of prosperity, the bright promise for new hope grew dim because Mohammed Morsi’s Egypt was not the people’s Egypt. Plagued by inflation, food shortages and the darkness of rolling black-outs, this was a dark time for the country. This period of Egypt’s history was marked by a roll-back in rights for women and minorities. More alarming was the moves by the presidency and ruling party to cement its power and remove democracy. Prepared by Engineer Issam Kafafy. Radio one Channel on Youtube. The Cairo Monitor Website, presents documentaries of recent political challenges facing the people of Egypt, specifically the impact that the Muslim Brotherhood has had on the nation. Follow them on Facebook, Twitter account, Youtube.